We install KiWi by simply attaching it to your existing internet connection. Plug & Play. It’s really as simple as that. 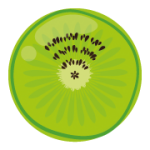 Your wifi is spiked with KiWi and is ready to promote your business like never before. Access analytics to manage and create promotions & coupons at the point of sale. Now that is invaluable marketing. 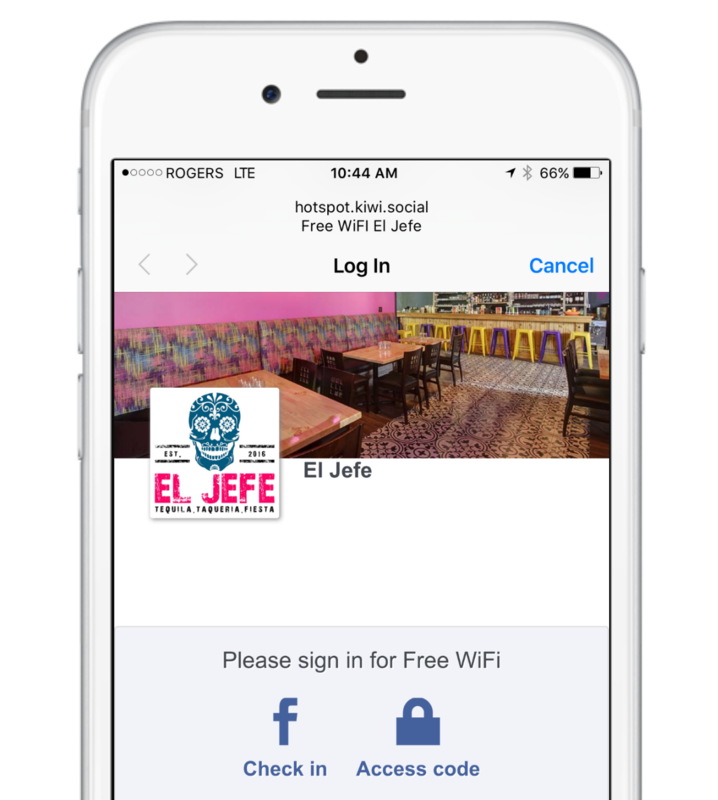 Customers check in to your business to access your wifi as they normally do. But now your wifi is spiked with KiWi. The magic of KiWi turns your customers into your personal marketers. 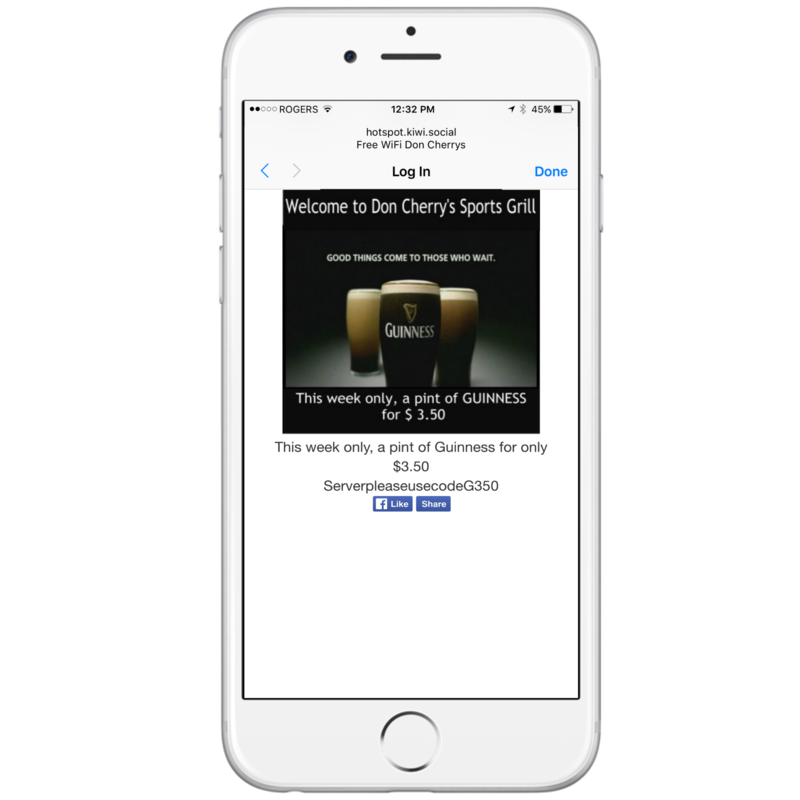 With each check-in, your business is advertised to over 100 people, per customer. Every time. 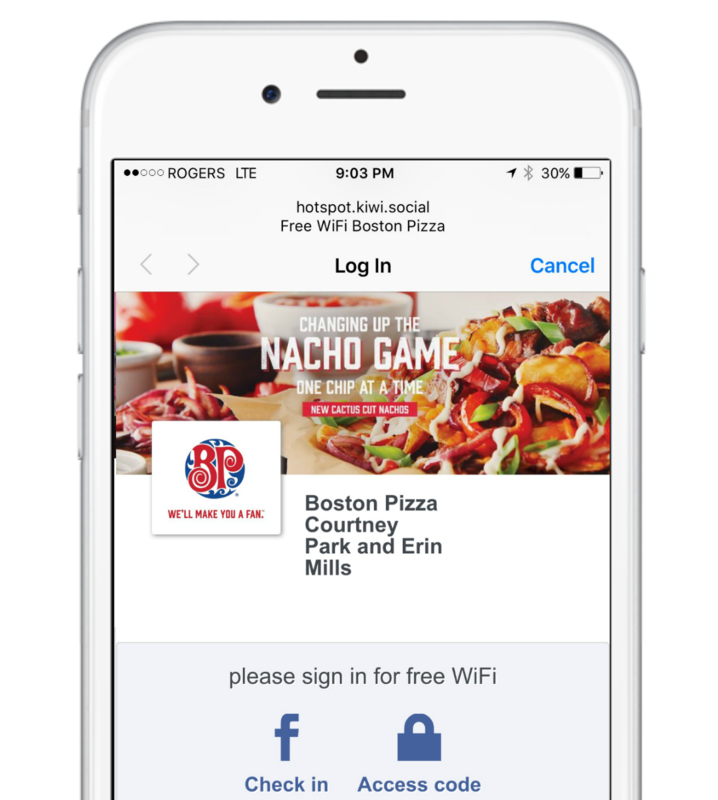 Take advantage of the check-ins and engage, use pop-ups for promotions, enable pop-up coupons, access analytics and more. Marketing your business is now easy, fun and effective. By connecting KiWi to your existing internet connection, you create an engaging social media hub, a Social WiFi hot-spot. 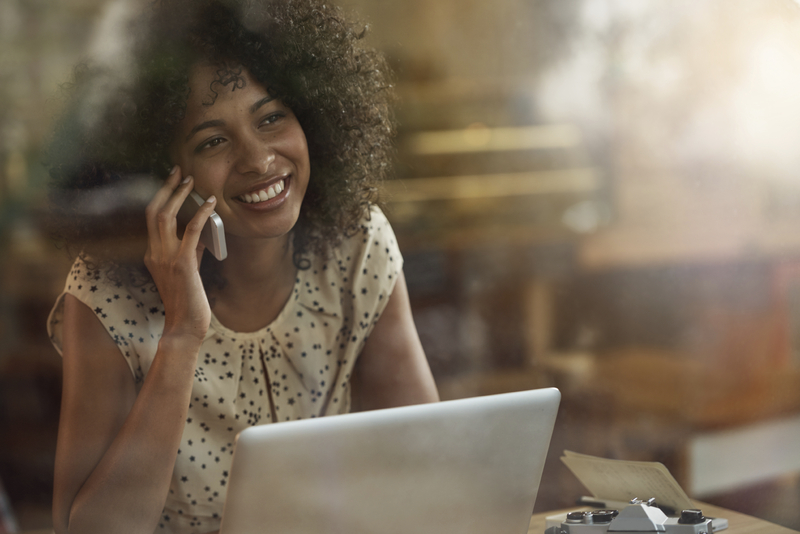 Customers simply go to their settings, select your WiFi, sign in using social media, and voilà – you can celebrate your loyal customers and watch your business grow. 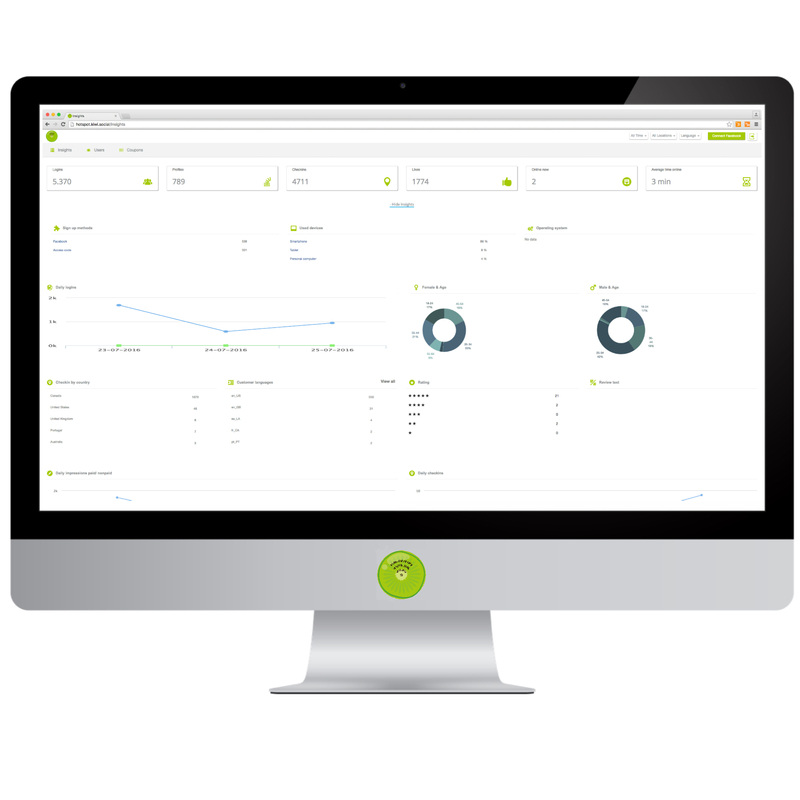 Currently, we are creating additional tools for KiWi that will boost your business even more. Stay tuned. KiWi plugs directly into your existing WiFi. When customers check-in, we ensure they agree to specific terms & conditions, keeping you and your business safe from potential harmful activity. You can rest assured that business will go on as usual, except now, the only thing that will change is your increased engagement and bottom-line. By utilizing our built in coupon module you can target your clients and guests with relevant coupons at the point of purchase. The module comes with a built in scheduler so you can plan ahead. The coupon comes automatically with a “Like” and “Share” button. All our fields are flexible so you can add the text you want. Need to add a coupon code no problem, there’s a field for that too. Create special check-in deals, which are only available through WiFi and drive more check-ins at the same time, win-win! KiWi knows that your business means everything to you. Our goal is to help businesses thrive and increase their bottom-line. Because we believe in our product so much, we want you to be able to afford it at a price you can’t say no to. Contact Us for more information. Our proprietary platform comes standard with analytics. 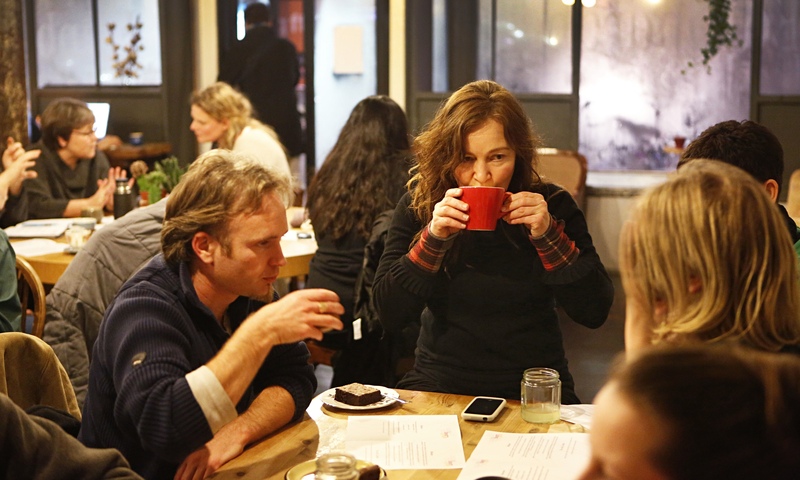 These will help you get a better understanding of who your clients/guests are. Some of the stats are, Daily Facebook Check-ins, Organic reach vs. Paid reach, Amount of Likes, Male/Female, Age groups and much more. Where Can KiWi Be Used?